The finest arabica beans roasted. 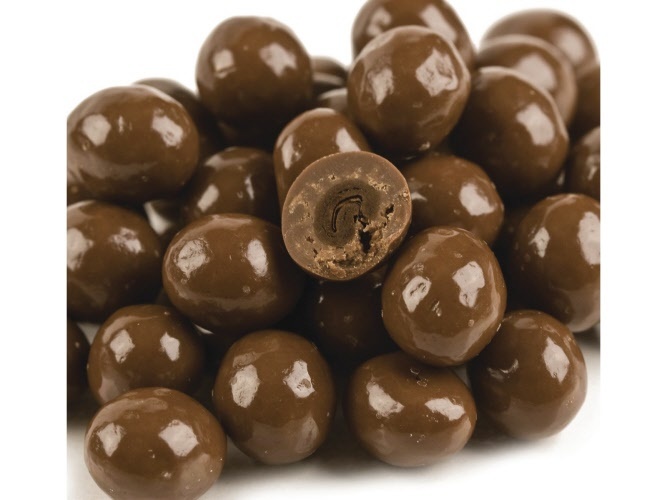 A mix of beans coated with creamy milk chocolate and rich dark chocolate. 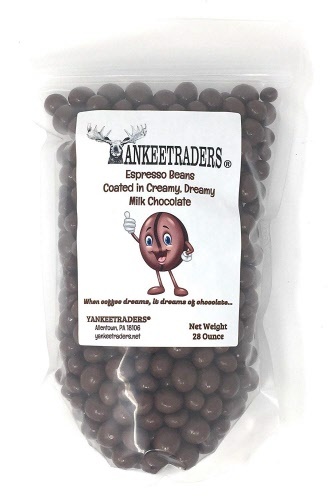 A double shot of chocolate and caffeine to sweeten and "perk" you up at the same time! 28 Ounces packed in a special sealed re-closeable clear gusseted bag.